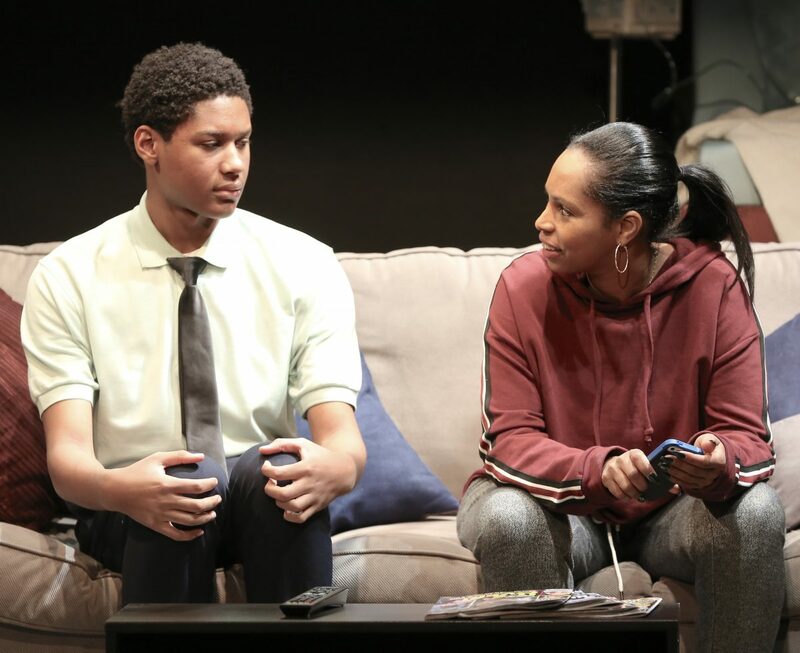 NEW YORK—Set in Newark, New Jersey, Chisa Hutchinson’s new play “Surely Goodness and Mercy,” presented by the Keen Company on New York’s Theater Row, depicts the efforts of a young lad and his companions to maintain their integrity and goals against an often unwelcoming world. The lad, Tino (Jay Mazyck), struggles against tough odds to do the right thing, as life with his abusive aunt Alneesa (Sarita Covington) doesn’t make things easy for him. But he’s devoutly religious, and this fact helps him weather many storms. He also turns for support to others. 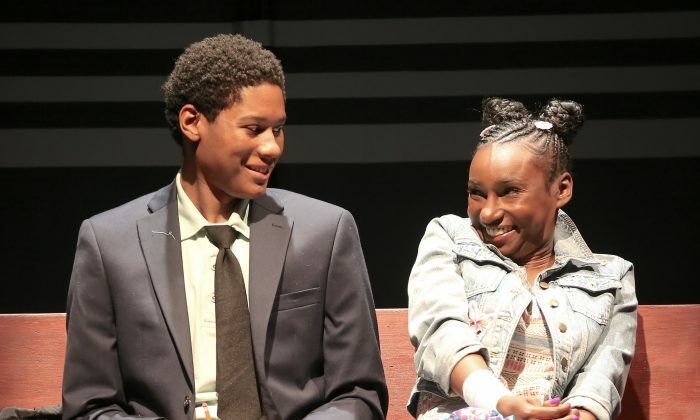 It might seem odd, but he strikes up an acquaintance with the rather prickly lunch lady Bernadette (Brenda Pressley) at his school, and, remarkably, they bond in a warm relationship. Later, when a tough crisis erupts, Tino is able to help Bernadette get through a difficult time. But he’s also aware of a young girl his own age. 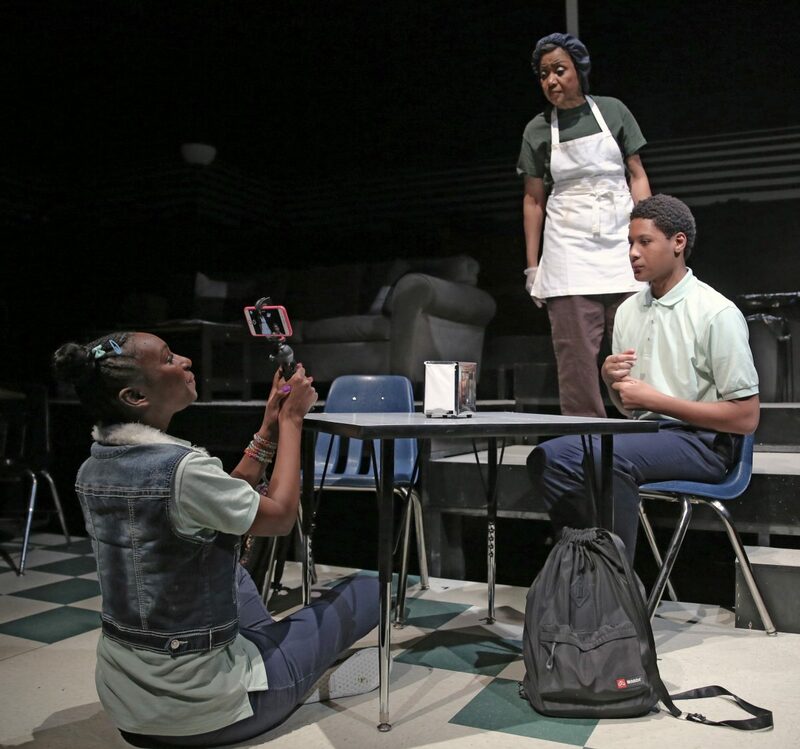 This classmate, Deja (Courtney Thomas), is mutually drawn to Tino. Tino is exceptionally bright, and while Deja may not be as smart as Tino, she makes up for any deficit by supplying street smarts to their arsenal of coping skills, which makes for a quirky and amusing relationship. Under Jessi D. Hill’s detailed direction, the acting is fine throughout. Each of the young duo is supposed to be 12 years old. Jay Mazyck admits to actually being 19, and Courtney Thomas is a young woman. But their actual ages in no way detract from the authenticity of their performances. They both convey the naiveté and sensitivity required by the characters they are portraying. Rounding out the cast of five is Cezar Williams, double-cast as the preacher and principal of the school. Scenic design by Lee Savage was a bit heavy-handed, inasmuch as various settings required by the text are all onstage at the same time. The positive factor in this is that no time-consuming set changes are required. Nicole Wee’s costumes are entirely appropriate. 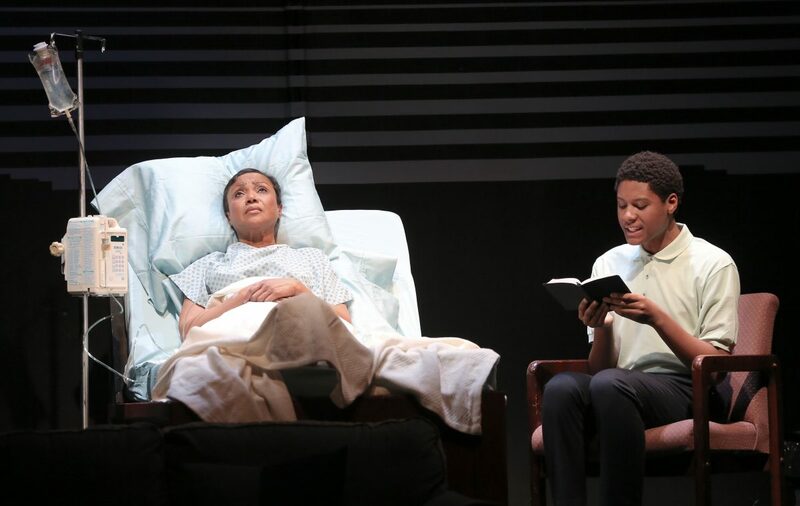 Overall, the play projects a sense of positivity—that there is goodness in the world and that it outweighs the bad. It’s in the power of each and every one of us to do his or her best to seek to bring about the good.